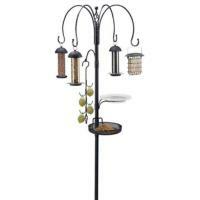 Spend less time scrubbing your bird bath and more time enjoying it! 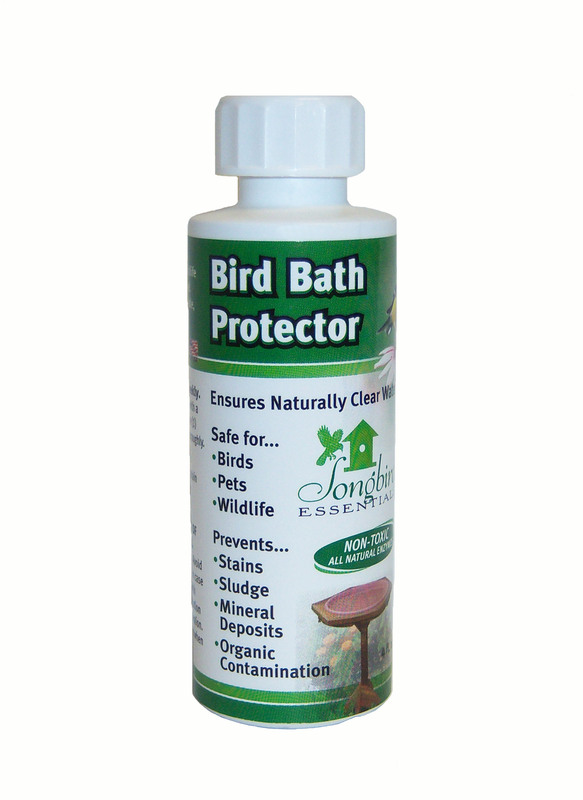 Songbird Essentials 8 oz birdbath Protector ensures naturally clear water. 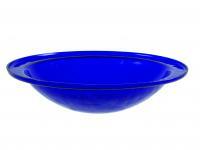 It prevents stains, mineral deposits, organic contamination, and sludge. It is safe for birds, pets, and wildlife. Note: Safe! No restrictions for wildlife when used as directed. 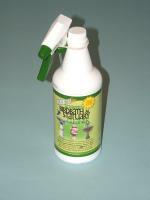 Non-toxic, biodegradable, bacteria free, food grade all natural enzymes. 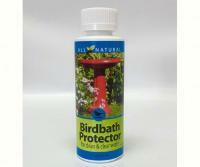 Bird Bath Protector is not a chemical and needs time to work. Extremely dirty birdbaths may take several weeks to clean. For best results, start with a clean bird bath.